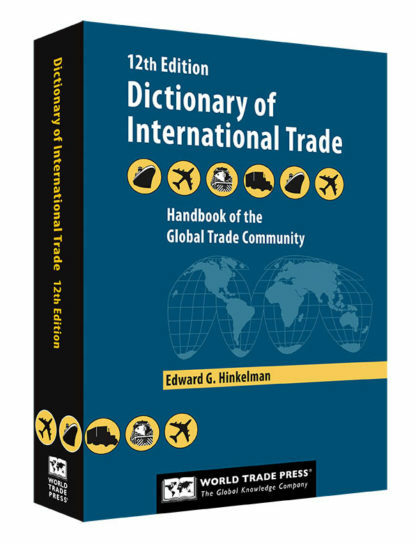 View cart “Dictionary of International Trade, 12th Edition” has been added to your cart. The World Trade Press Dictionary of International Trade is the most respected and largest-selling dictionary of trade in the world. 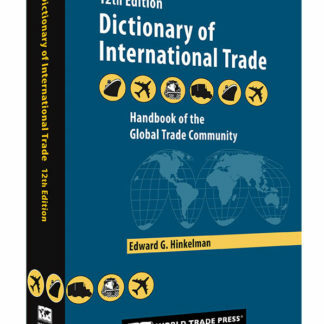 It is in use in more than 100 countries by importers, exporters, bankers, shippers, logistics professionals, attorneys, economists, and government officials. For volume discounts and custom branding call 800-833-8586 x1.